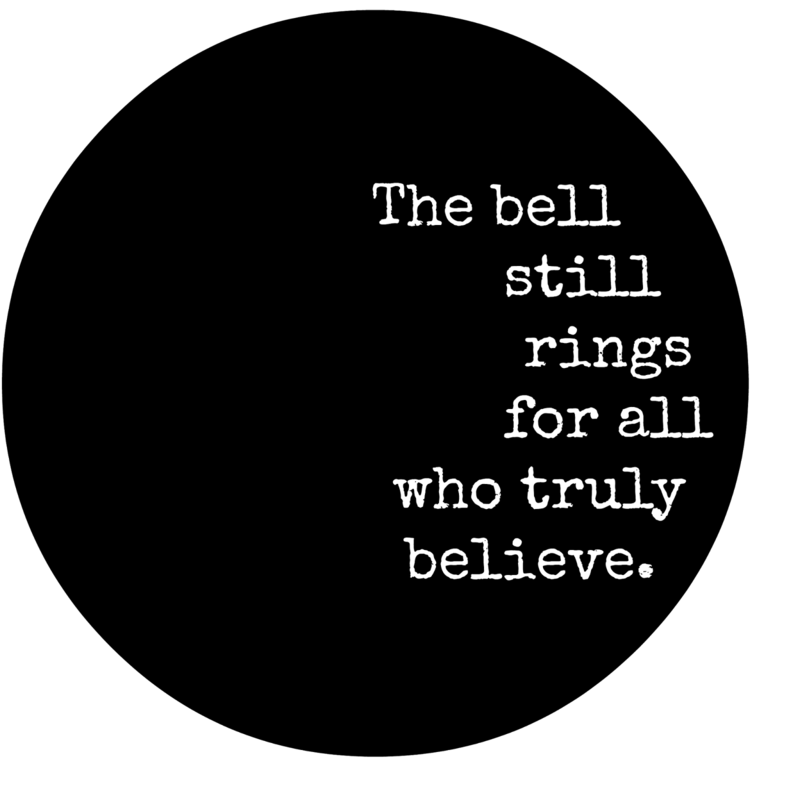 When my oldest was in first grade, his favorite bedtime story book at Christmas time was, "The Polar Express." For those of you who may not know the story, it's about a young boy who boards a magical train to the north pole on Christmas Eve. In the illustrations of the story, the young boy is wearing a plaid flannel bathrobe over his pajamas. You may wonder why this detail is so important. Well, to fully appreciate the significance of today's simple ornament, you need to understand the back story. Mr. Refined and I took turns reading bedtime stories to our sons. As fate would have it when this book came into the bedtime rotation, Mr. Refined was the first to read the story to a wide eyed, brown haired boy who, at that point, was still a believer. He also happened to have a plaid flannel robe which was eerily similar to the one in the illustration and which had originally belonged to the mischievous Mr. R. when he was young. It seems (as I would later find out) that Mr. Refined embellished the story just a bit as he read. He calmly and matter-of-factly explained to to our impressionable five year old that it was him that was the boy in the robe in the story...my son believed every word. As the holiday season progressed toward Christmas, my son was invited by his teacher to bring a favorite book to share with his class. Can you guess which one he chose? Yep. The Polar Express. When the story was read to the class that afternoon, my son excitedly explained to a room full of five and six year olds that his dad was the little boy in the story. When his dad was in the first grade, just like they were, he had gone on the magical journey to the north pole. The teacher, amused by this, never said a word. We only found out months later at a spring parent conference. The story remained intact even after my oldest figured out the truth. He allowed his dad to read the very same version of the story (complete with animated gestures and vivid details) to his younger brother. In doing so, he unknowingly allowing his brother to share in the magic of of the story until he, too, was old enough to realize that their dad had spun a fanciful tale which involved a boy in a plaid robe and the magic hearing sleigh bells at Christmas. Paint the disk black using black spray paint. Print the image above and Mod Podge it to one side of the disk. 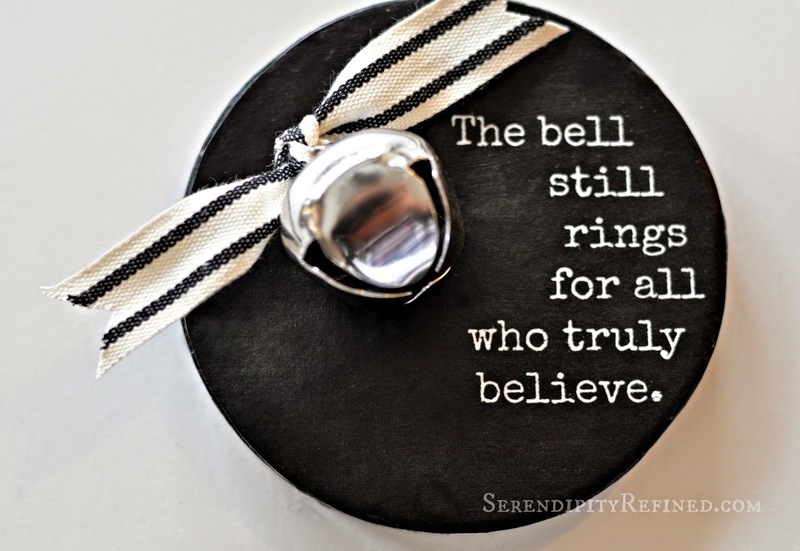 Tie the ribbon through the bell. 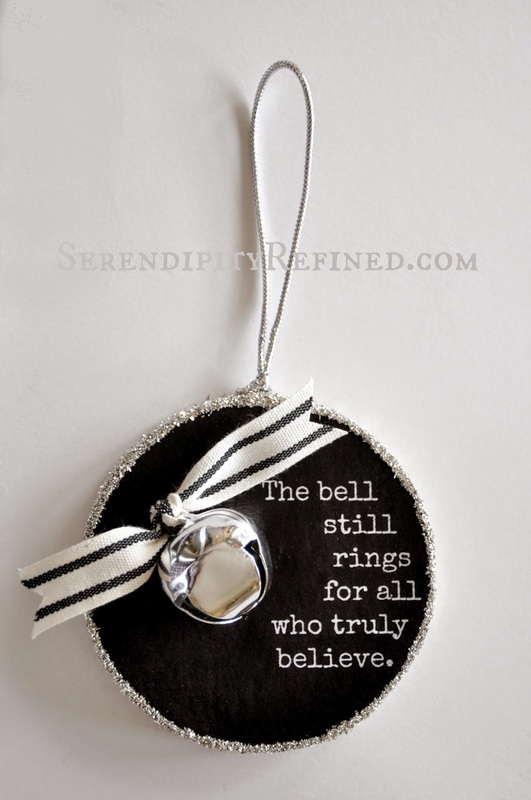 Hot glue the bell into place. Brush the sides and the back of the ornament with glue and cover with glitter. 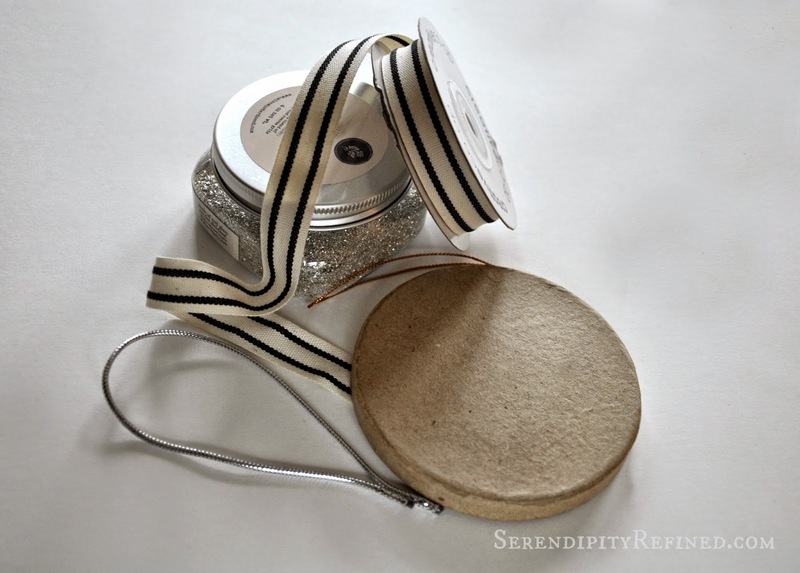 Allow to dry, Form a hanger out of the silver cord and hot glue it to the top of the ornament. 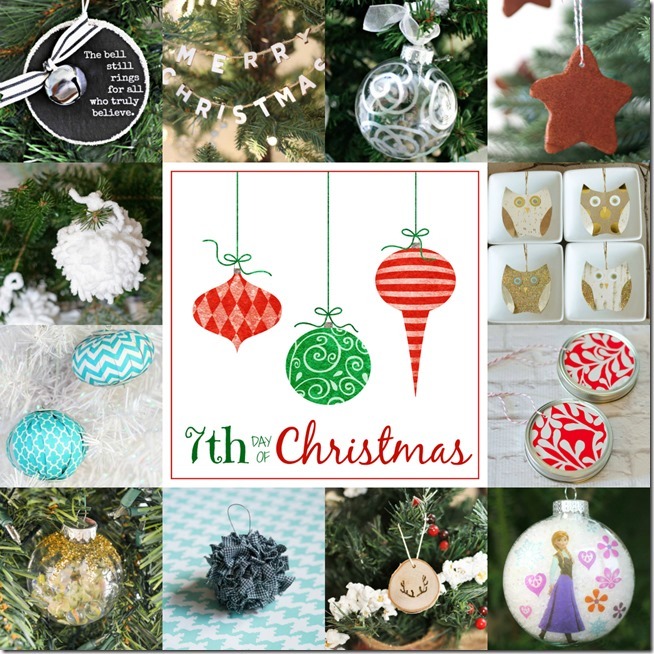 Learn how to make the other ornaments shown in the photo below by clicking the individual links below the photo. So, there you have it. 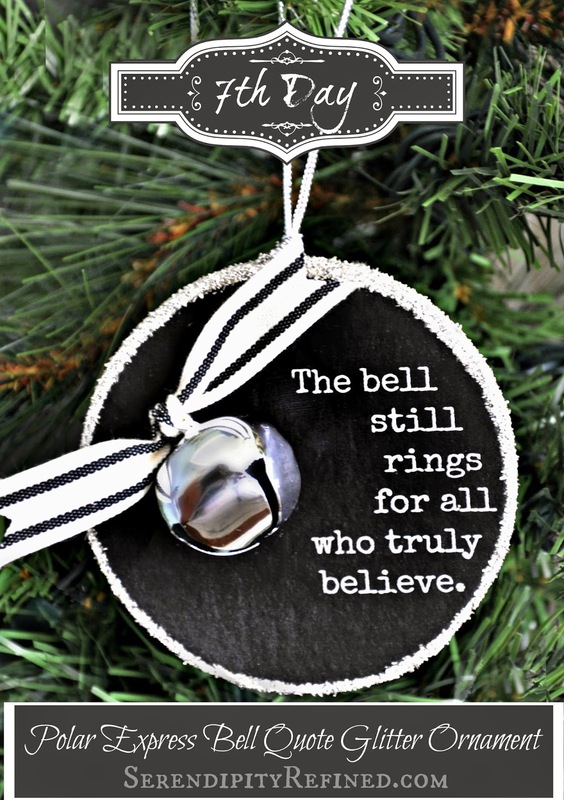 The complex story behind my reason for making this very simple Polar Express bell quote ornament. Stop by tomorrow for an easy ornament made with Popsicle sticks.